It is a tragic love story about two star-crossed young people. Romeo and Juliet one of the best plays written by popular English writer William Shakespeare. It is unclear as to when exactly William Shakespeare wrote Romeo and Juliet but it is assumed to be written sometime between 1591-1595. Romeo and Juliet were published in two quarto editions. These editions were referred to as Q1 and Q2. The first edition of the play was published in 1597. Romeo and Juliet is a tragedy about a young couple’s untimely death and how this unfortunate incidence brings their disputing families closer to one another. This play has been inspired by an original Italian story. The story has three main families- The Ruling House including Prince Verona, Count Paris, Mercutio, the Capulet family including Capulet(patriarch), Capulet’s wife, Juliet, Tybalt (Juliet’s cousin), The Nurse (Juliet’s personal attendant) and servants working in the house; The Montague family including Montague(patriarch), Montague’s wife, Romeo and his cousin Benvolio, and some servants. Supporting characters were Friar Laurence, Friar John, Chorus and an Apothecary. The characters of Mercutio and Paris were added by Shakespeare. The play opens with a fight between the servants of the Capulet and Montague family respectively. These two families were arch rivals. The dispute is resolved by the Prince of Verona by stating that if the peace is disturbed the offender will be given a death sentence. Count Paris asks Capulet for his daughter Juliet’s hand in marriage but since was only 13, the Count was requested to waited for another two years. Romeo liked Rosaline, Capulet’s niece and so he decides to attend the ball hoping to meet Rosaline. At the ball Romeo and Juliet meet for the first time and he falls in love with her. 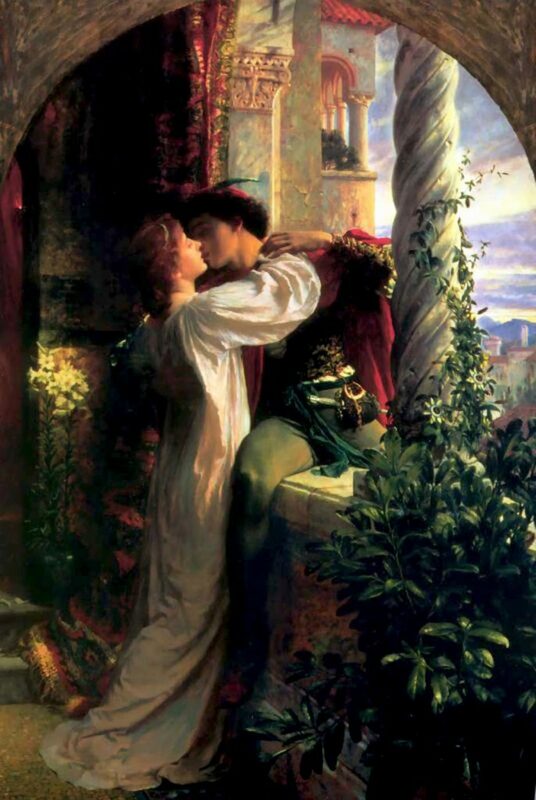 After the ball is the famous ‘balcony scene’ where Romeo hears Juliet confess her love for him. He then approaches her at the balcony and talks to her. They then with the support of Friar Laurence get married. Tybalt, Juliet’s cousin was furious about the fact the Romeo came to the ball. He challenges Romeo to a duel. Romeo refuses to fight Tybalt. This angers Mercutio and he accepts the challenge on behalf of Romeo. Mercutio is badly wounded when Romeo attempts to break the fight. He tries reasoning with Tybalt but all his efforts fail and in a fit of anger he kills Tybalt. Montague family pleads that what Romeo did was right and should be pardoned. However, Romeo was deported for his act by the Prince. The Prince also declares that if Romeo ever returns it shall be his last hour of life. Juliet who was unaware of unfortunate incidence is informed by her nurse. Juliet then seeks Friar Laurence’s help. Accordingly, Romeo spends the night secretly with Juliet in her chamber. Capulet agrees for his daughter’s marriage to Count Paris. When Juliet refuses to marry the Count her parents get upset. Once again Juliet asks Friar Laurence to help her. They make a plan according to which Friar gives her a drug which would make her appear dead for a few hours. He also offers to send a messenger to Romeo explaining the situation. Romeo will then come to meet her and take her away. So Juliet only a few hours before her wedding, takes the drugs. When her parents attempt to wake her, she’s assumed dead. Juliet was then buried in the family crypt. However, the messenger does not reach in time and Romeo hears the news of Juliet’s death. He first buys poison from an apothecary and then goes to visit her at the crypt where he has an encounter with the Count. The Count misunderstanding Romeo to be a thug attacks him and in the battle the Count is killed. Romeo was still under the impression that Juliet was dead and he consumes the poison. When Juliet wakes up she finds Romeo lying dead near her. Unable to bear the thought of his death, Juliet takes his dagger and stabs herself. In the mean while, Friar along with the Capulet and Montague families and the Prince reach the Capulet’s crypt. There they find the bodies of the Count, Romeo and Juliet. Friar explains what had exactly transpired. After hearing the tragic story of their children, the families mutually decide to end their differences.